3 page guide to quickly identify the right techniques and link to detailed instructions on how to use them. Be inspired by a list of over 30 tools and techniques for more creative proposals. 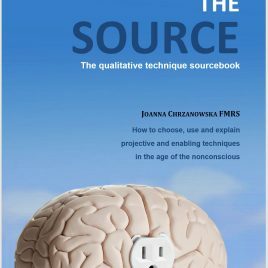 The Source goes beyond traditional projectives to include the Implicit Association Test, Observation and Autoethnography and Enhanced Recall Interviewing. If you want to see in more detail what is included, here are the The Source 2016 Contents - or browse the Projectives page. Consumer Contracts Regulations: You have a 14 day period when your money will be returned without question – unless you have used the download link. Your right to cancel ceases when you download. You need to inform us of cancellation by email. In agreeing to the terms and conditions you have permission to use the documents within your business but not to sell or distribute them yourselves. 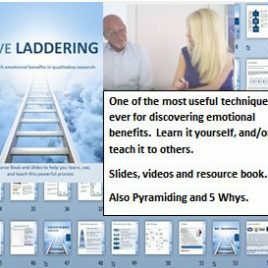 Available on Google Play in paperback for about £20. 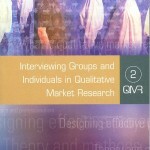 Or as part of a set called Qualitative Market Research: Principle and Practice, eds Ereaut, Imms and Callingham. £245 on Amazon as of July 2014. The reviews apply to the set.